Eucalyptus oil is another ingredient used in the Novarnica products. Here is a little preview. Eucalyptus is a tree in the myrtle family (Myrtaceae). Members of the genus dominate the tree flora of Australia. 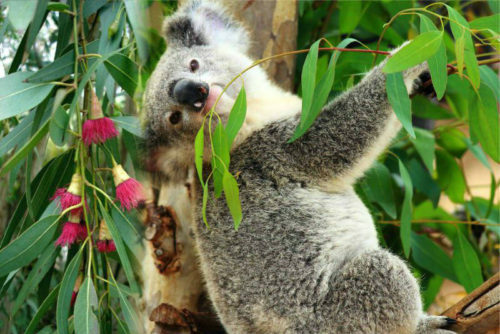 There are more than 700 species of eucalyptus and most are native to Australia, and a very small number are found in adjacent areas of New Guinea and Indonesia. One species, Eucalyptus deglupta, ranges as far north as the Philippines. Only 15 species occur outside Australia, with just nine of these not occurring in Australia. Species of eucalyptus are cultivated widely in the tropical and temperate world, including the Americas,Europe, Africa, the Mediterranean Basin, the Middle East, China, and the Indian subcontinent. However, the range over which many eucalypts can be planted in the temperate zone is constrained by their limited cold tolerance. The dried leaves and oil are used to make medicine, used for cleaning and as a natural insecticide. Medical uses. Eucalyptus leaf is used for infections, fever, upset stomach and to help loosen coughs. The leaf is also used for treating respiratory tract infections, whooping cough, asthma, pulmonary tuberculosis, osteoarthritis, joint pain (rheumatism), acne, wounds, poorly healing ulcers, burns, bacterial dysentery, ringworms, liver and gallbladder problems, loss of appetite, and cancer. The diluted oil is taken by mouth for pain and swelling (inflammation) of respiratory tract mucous membranes, coughs, bronchitis, sinus pain and inflammation, asthma, chronic obstructive pulmonary disease(COPD) and respiratory infections. It is also used as an expectorant to loosen coughs, antiseptic, fever reducer, and in vaporizer fluids. Other uses include treatment of wounds, burns, ulcers, and cancer. Diluted eucalyptus oil is applied directly to the skin for pain and swelling of respiratory tract mucous membranes, joint pain, and nasal stuffiness. It is also used as an insect repellent. Eucalyptus oil contains chemicals that help pain and inflammation. Early research suggests that aromatherapy with a combination of eucalyptus oil, lavender, marjoram, rosemary, and peppermint oils might reduce pain and depression in people with arthritis. WebMD – clinical studies: Kim, M. J., Nam, E. S., and Paik, S. I. [The effects of aromatherapy on pain, depression, and life satisfaction of arthritis patients]. Taehan Kanho.Hakhoe.Chi 2005;35(1):186-194.